MPG is a kind of common digital video format which is standardized by the Moving Picture Experts Group. It typically incorporates MPEG-1 or MPEG-2 audio and video compression. The format is often used for creating movies that are distributed on the Internet. MPEG, Short for Moving Picture Experts Group, and pronounced m-peg, is a working group of the ISO. The term also refers to the family of digital video compression standards and file formats developed by the group. 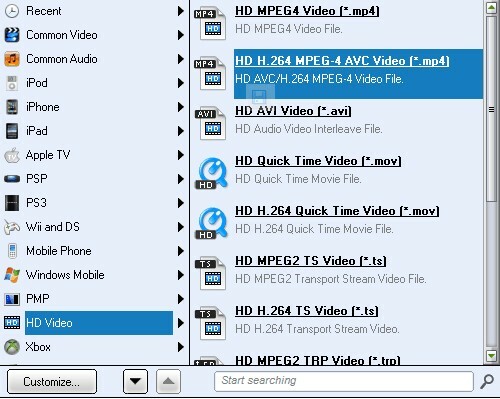 MPEG generally produces better-quality video than competing formats, such as Video for Windows, Indeo and QuickTime. MPEG files previously on PCs needed hardware decoders (codecs) for MPEG processing. Today, however, PCs can use software-only codecs including products from RealNetworks, QuickTime or Windows Media Player. PowerPoint PPT to MPG/MPEG Converter from UFUSoft can convert PPT to Video and convert Presentation PPT to MPG/MPEG without lossing the original video clips or music, movie clips. Besides that, PowerPoint to MPG/MPEG Converter allows you to customize video settings like add background music, upside down videos. Set bit rate, frame rate and video size are supported as well. Steps to use PowerPoint Presentation to MPG/MPEG Converter to convert PowerPoint to MPG/MPEG. One the Settings interface, select MPG/MPEG as the output video format from the Format drop-down list and click Next. After everything is ready, hit the Start button to start converting PPT to MPG/MPEG. The conversion should be finished like a breeze. After the conversion, you can use the converted PowerPoint MPEG video to create VCD or DVD, and enjoy free fun of your chic slideshow. 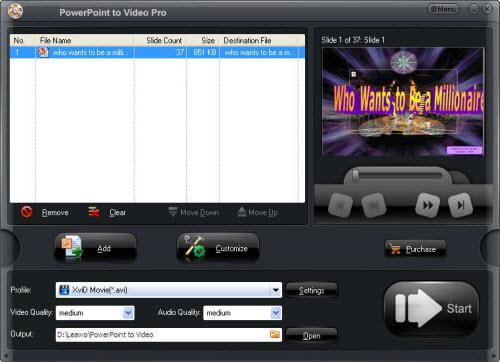 | Comments Off on Presentation PPT to MPG/MPEG Converter-How to Convert PowerPoint to MPG/MPEG Video?